Optional toppings: olive oil, cumin, sumac, sesame seeds, and parsley. Break the cauliflower florets down into “rice” by putting them in a processor. Heat a large non-stick pan and incorporate just 1 tablespoon of olive oil to cover the base of the pan. Toast the cauliflower rice lightly, for about 5 minutes on high heat. Remove and set aside to cool. 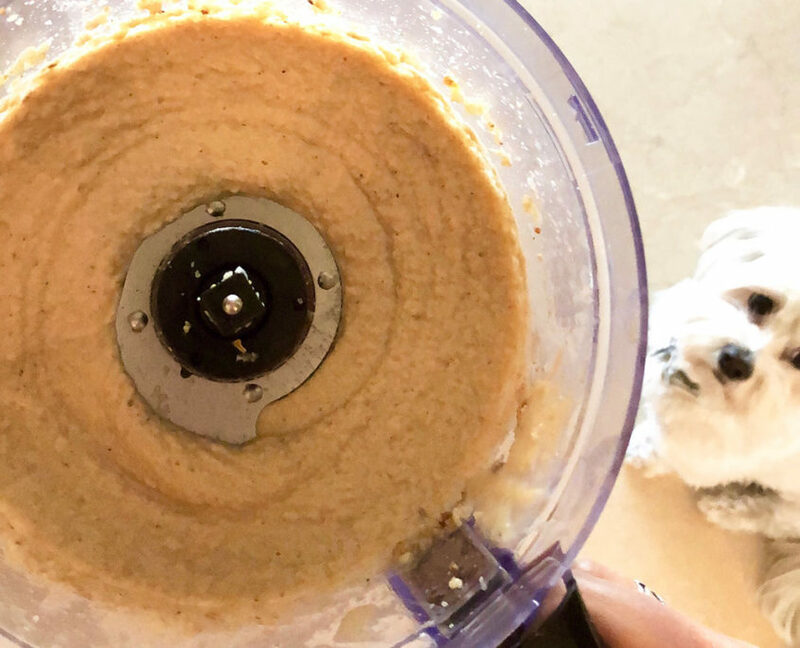 Place the cauliflower, olive oil, tahini, sea salt, cumin, sumac, garlic, olives and lemon juice to your food processor or high-powered blender. Blend on high until very smooth. You want it to be as smooth as hummus, although it may be slightly grainy. 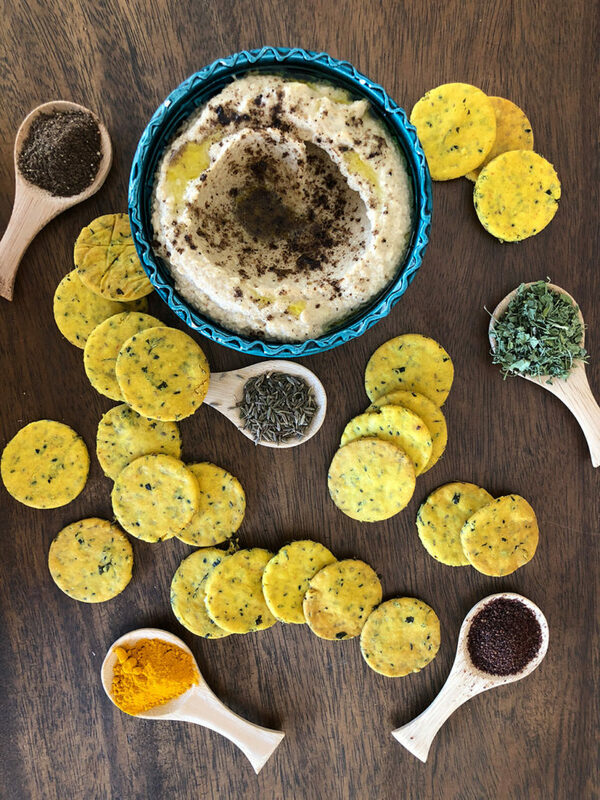 Serve with any or all of the optional toppings and the chickpea fenugreek crackers. 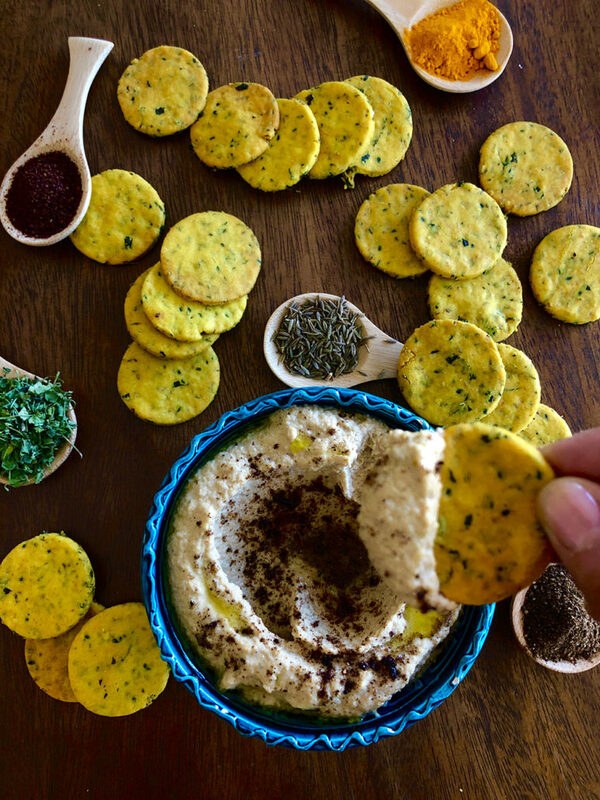 Chickpea Flour Crackers with Fenugreek. Gluten Free! Preheat the oven to 180 celsius and line a large baking tray with baking paper. Place flour, salt, baking powder and the oil in a food processor and process until the mixture resembles wet sand. Add all the spices and seasonings and process again. Remove from the processor and place in a bowl. Add the water gradually until the mixture forms a ball. Place on a piece of baking paper and gently knead until smooth. Flatten the dough and place another piece of baking paper on top and roll out the dough using a rolling pin to a thickness of 5mm. Use a cookie 5cm diameter cookie cutter to cut out the cookies and place on a baking tray lined with baking paper. Bake for 12 to 15 minutes, or until golden around the edges. Place on a cooling rack to cool completely before placing in an air tight container, if not serving immediately. 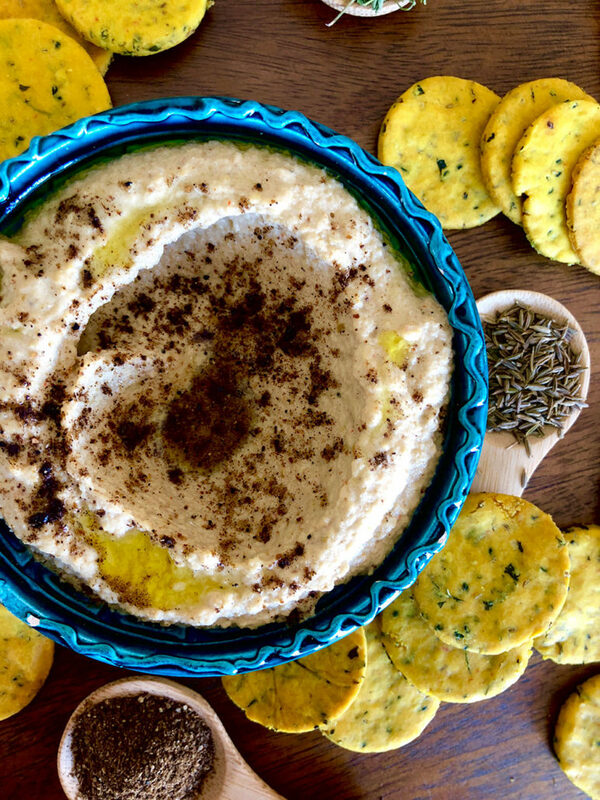 Perfect with the cauliflower hummus or mango chutney!